graduated with distinction from the University of Michigan Law School in 1953 where he was a member of the Law Review. After a brief stint in the Secretary’s office and legal department of the Chrysler Corporation where he worked on corporate matters he went into private practice. He has served as a part-time adjunct instructor of legal writing at Wayne State University Law School. His primary areas of practice are estate planning, the post-death administration of decedent’s affairs and corporate and business transactions. He has represented publicly held and private corporations in merger and acquisition work, defending proxy fights, and assisting in complying with securities regulations. He represents individuals and their businesses during their lifetime and passing them to the next generation at death. 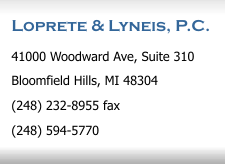 Mr. LoPrete is a past chairman of the Probate and Estate Planning Section of the State Bar of Michigan, a fellow of the American College of Trust and Estate Counsel (ACTEC) and an academician in the International Academy of Estate and Trust Law. He is a member and past director of the Financial and Estate Planning Council of Metropolitan Detroit and serves on the Board of Directors of various for-profit and non-profit corporations. A member of the ACTEC litigation committee, Mr. LoPrete represents fiduciaries and individuals in probate and trust litigation. He has been recognized by the Michigan Court of Appeals as an expert witness in probate and trust matters. 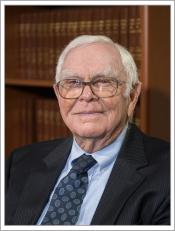 Throughout his career, Mr. LoPrete has been a lecturer before Michigan lawyers, corporate trustee department personnel, and other professional groups on various topics related to estate and trust administration.